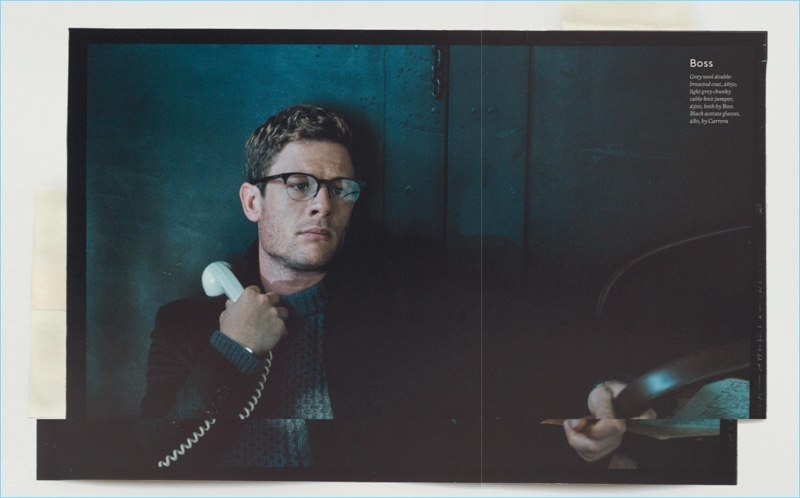 James Norton wears Pringle of Scotland for Esquire UK . Tomo Brejc photographs James Norton for the January/February 2018 issue of Esquire UK . 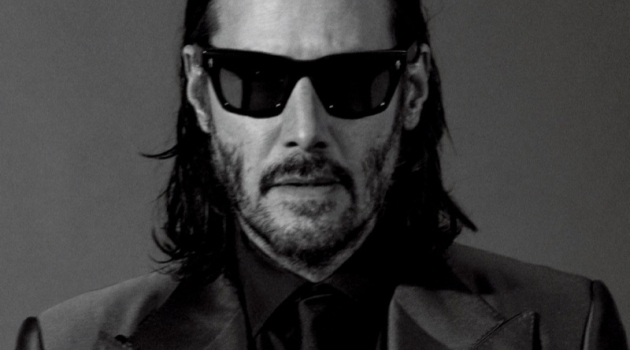 The English actor embraces a winter wardrobe, courtesy of stylist Catherine Hayward. Norton dons sleek looks from brands like Paul Smith, Versace, and Pringle of Scotland. 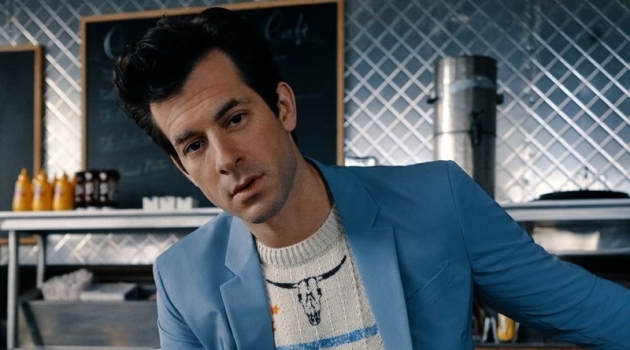 The 32-year-old actor also talks to Esquire UK about his next series, McMafia . It's about a man who's tempted into the mafia underworld against his wishes; a classic Corleone-type story, says Norton. You're never quite sure how much he's enjoying it and how much he's seduced by it. 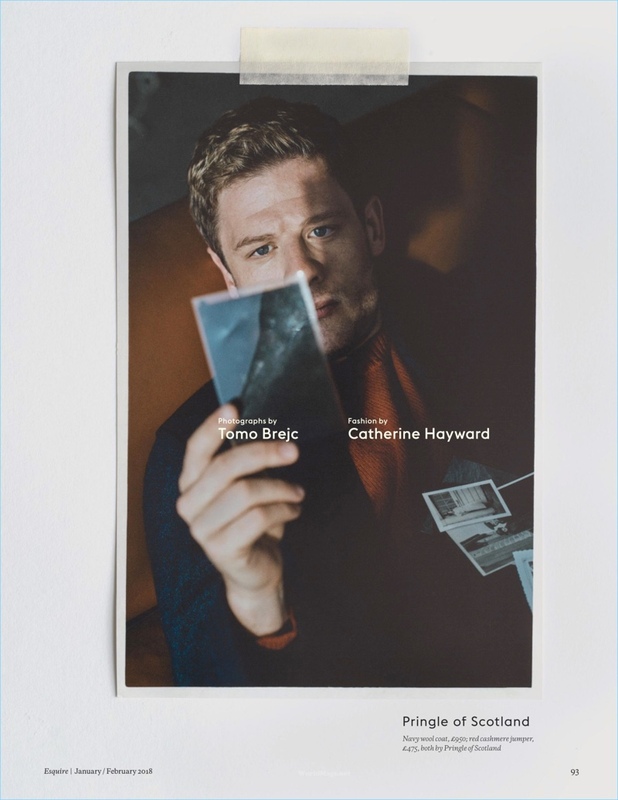 Actor James Norton sports a look by Paul Smith. 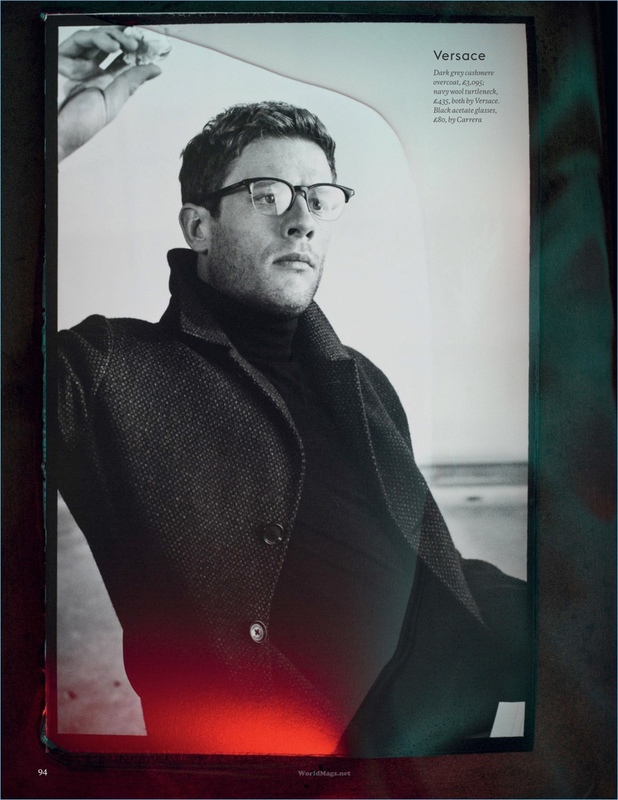 A smart vision in glasses, James Norton wears Versace. 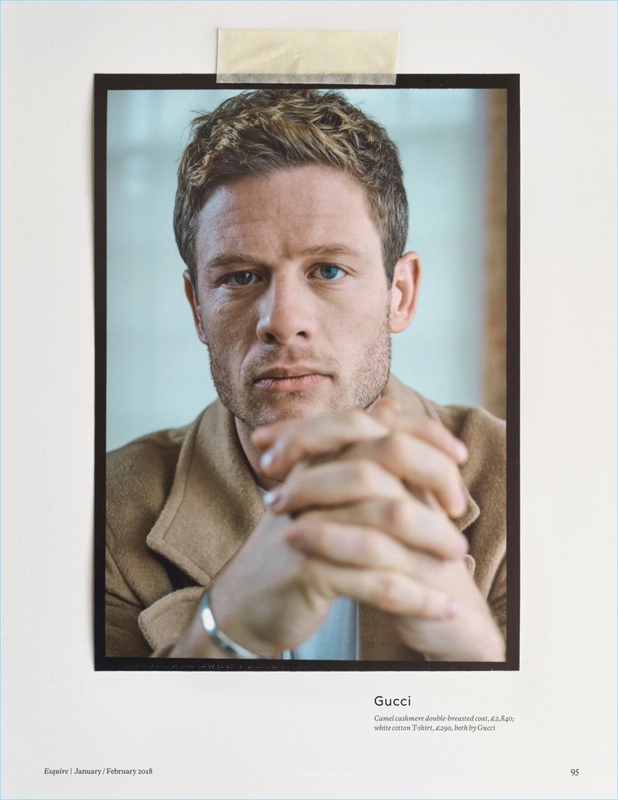 Starring in an Esquire UK photo shoot, James Norton wears Gucci. 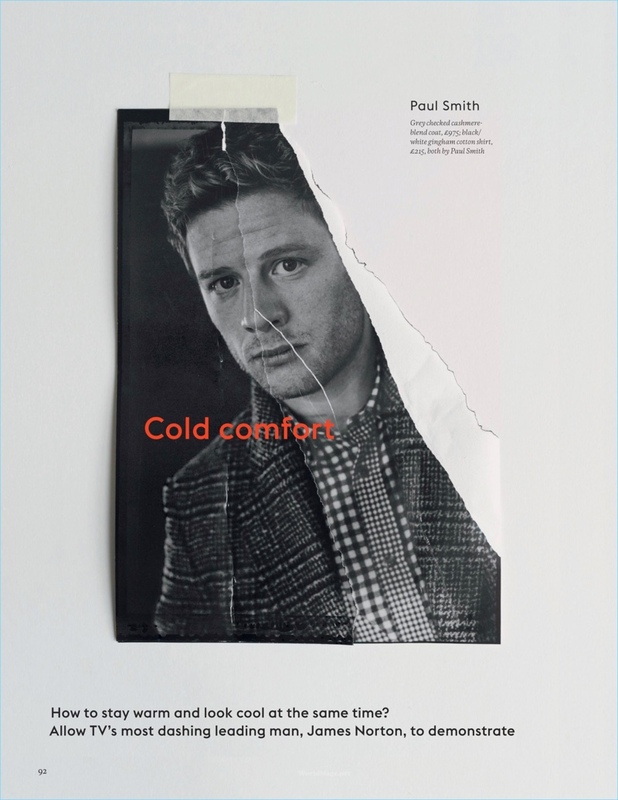 Esquire UK taps James Norton for a fashion shoot that features BOSS.